Just spent a not so amusing couple of hours trying to get a set of photos back onto my computer that I had inadvertently wiped from my camera’s memory card. Of course I had also accidentally erased it from my computer as well. When I make a mistake, I don’t do it in halves! 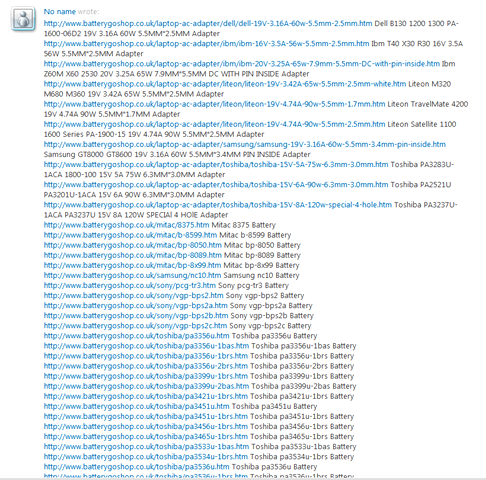 I searched my online SkyDrive in vain. IF I had uploaded it to my SkyDrive on Windows Live I would then have been able to easily download it from there and back to its origins on my hard drive. But for some reason, I had only uploaded this particular set of photographs to flickr. To my annoyance there seemed to be no way to download them again in case of accidents/eraser/stupidity at the users end. Windows Live, stats and nostalgia. Seeing as I have been so bored waiting for the new Wave 4 updates to arrive, I thought I’d do some ‘homework’ on the Windows Live site itself. Who uses it? How many users per month? Are there less users now than there were last year? What sort of user is the ‘average user’ of Windows Live? What do users search for and what do they mainly use when they are on the site? These are questions I often ask myself as a Windows Live user, and so I recently did a search for a ‘Social Site statistics’ site and found Alexa. 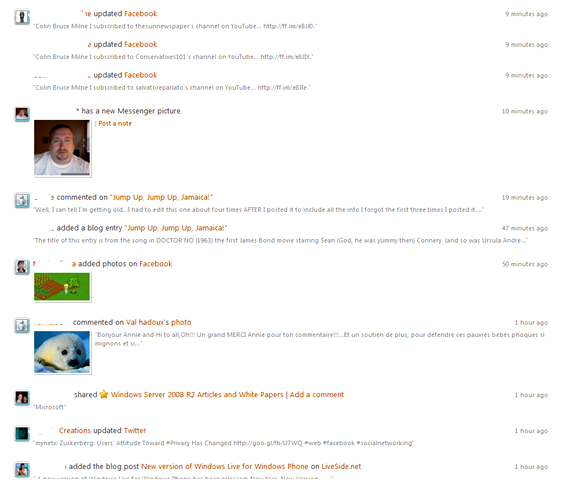 Windows Live Writer Wave 4, some more screen grabs. Of all the leaked screen grabs of the upcoming Windows Live Wave 4 updates posted on the Internet so far Windows Live Writer certainly seems to be the furthest ahead in terms of development judging by these pictures. The screen grab above shows the Picture tab choices across the ribbon complete with all the obvious choices available to the user in easy to click on (and find!) icons which are really simple to understand for the most novice user. These are divided into seperate areas across the ribbon as follows, Size, Rotate, Picture Styles, Properties, Settings, Alignment ( complete with easy to understand icons of each picture position in relation to the text) and lastly Margins. (which I find that most Writer users don’t make enough use of.) Also note that the Set Category and Set Publish date are now placed just below the ribbon so the user isn’t constantly having to scroll down to the bottom of the edit/compose screen in order to access any feature. Good thinking team! Note also that the right hand side bar is now no longer needed as every choice and feature that it contained is now easily available via the ribbon interface thereby allowing the full width of the screen for a users blog post. This next screen grab shows the Home tab on the ribbon. There does seem to be one area of this screen grab that I feel is not needed on the Home ribbon and that is the Insert area. The Home tab ribbon is divided into Clipboard, Publish, Font, Paragraph (which also contains tabs,numbering, quotes and align) HTML styles reminiscent of those found in the Word ribbon and which appears to work in a similar way, Insert which is not necessary in this Home ribbon seeing as it has its own tab and so is surplus to requirements in this part of the Ribbon Interface, and lastly Editing which contains the inbuilt spelling checker, word count, find and Select All. Note everyone that lovely wide area now available for your composing and editing! Brilliant! Lastly a much closer view of the Insert tab ribbon showing everything that you can insert into your post. Firstly we have the all new singing and dancing Breaks consisting of Horizontal line (Hurrah!) Clear break and Split post followed by Tables, Media which naturally includes Hyperlink, Picture, Video, Photo Album, Map, Post Tags and some cool new Emoticons, and lastly Plug-ins containing Add a plug-in and Manage plug-ins. I just wish I had my mitts on it all! My grateful thanks to LiveSino.net for these screen grabs. What is Windows Live? Perhaps some of you reading this post might not have even heard of Windows Live, or come across it in your travels around the internet. 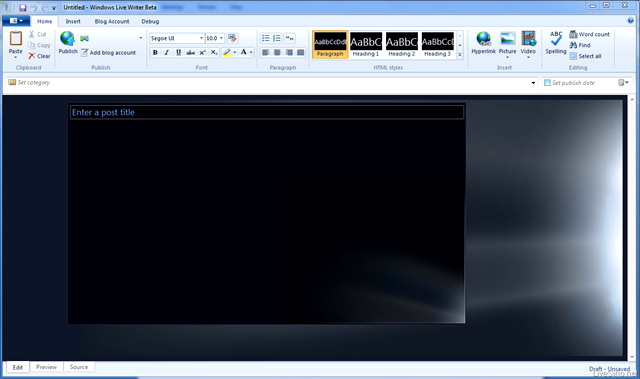 Some may think of it as a Suite of programs that you need to download to your recently bought computer simply because you need them in order to access your emails in Windows 7. Others might have stumbled across the Windows Live site, gone and taken a look, tried to join it and then after finding it far too hard to get to grips with and navigate, moseyed off somewhere else. As a Windows Live user and fan, I readily admit its a hard site to find your way around if you are a new to it. Its also a site that doesn’t seem to be able to make its mind up quite what its there for and in which direction its going. 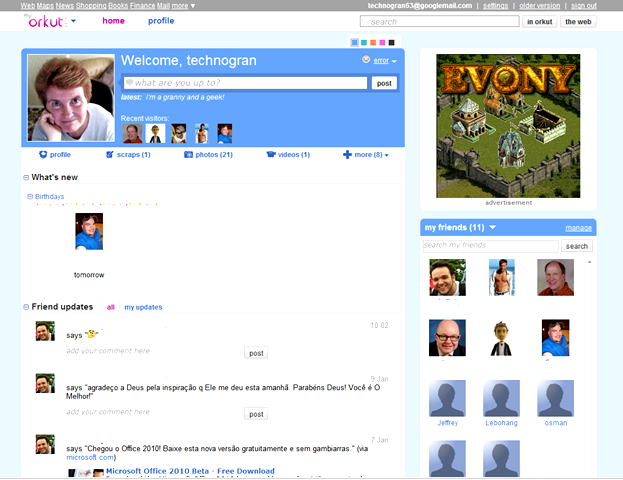 A Social networking site a la Facebook? Well, let’s take a look at the similarities of them both shall we? Both contain a users Profile and a Home page in tabs at the top of the page which in turn contain other choices in drop down lists. . Also Friends are easy to access as well as Messages. (In the case of Windows Live this is of course Live Hotmail and the Friends tab in Facebook is replaced with People) So far they are pretty similar. In both, you can set up your Profile/Account and any Settings/Permissions that you wish to set and have more or less total control over who has access to what. In the usage of Facebook, you remain on the Home page for the majority of time unless you are using one of the Applications of course. Also you now have both a Live feed and a News feed to access from that Home page. If someone posts an update you can react to that update by either liking it or joining in and commenting on it. In that way, Facebook allows you to be ‘interactive’ with your friends and family as if you were actually in the room with them discussing something. 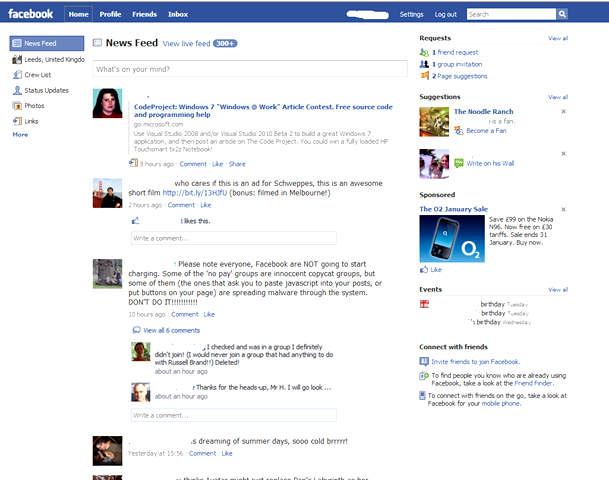 Not only that, Facebook added a ‘chat’ facility to the excellent Facebook ‘bar’ at the bottom of the page. Similar in concept to Messenger, this allows you to chat to someone when they are online at the same time as you. 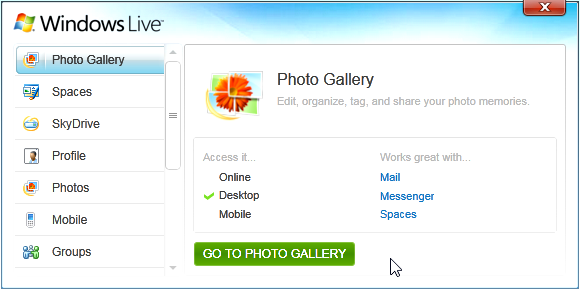 Unfortunately, Windows Live does not allow this ‘interactivity’ at all with your friends and family, unless you count being able to place a comment on their blog posts and in a note on their profile page. The ‘What’s new with your Network’ feed on your Home page doesn’t allow you to do anything with it apart from read it and then click on it to go to that particular site. You can’t like/dislike it if the friend has posted some remark somewhere, you can’t comment on it, its a passive update and not a socially interactive update. So for someone like me who wants to interact with my Windows Live friends and family when they do something somewhere, but do so whilst remaining on Windows Live, then the ‘What’s new with your Network’ feed is practically useless because all it does is allow me to leave the site completely in order to react to it, unless the update is about some activity that is carried out on Windows Live itself such as a comment on someone’s blog or a note posted on someone’s profile on Windows Live. The other big problem is that the feed is currently only accessible for the last 50 updates made to it. You can’t run through any past updates before then in order to check who has been doing what whilst you have been asleep for example. There is no limitless ‘earlier posts’ button at the bottom as on Facebook. If you are offline for a number of hours and someone on your Network does something somewhere whilst you are offline, you will be really lucky to be aware of it. For me, it renders the whole idea of the ‘What’s new with your Network’ more or less useless seeing as I don’t want to really move onto another site in order to react to them in any way, added to the fact that I miss seeing most of them anyway. Where are they heading with Windows Live? In which direction? Just as an ‘update’ on where everyone in your network is currently spending their time when online so that you can go and join them elsewhere? Funnily enough, just as I am composing this blog, Google have just released a beta update to Orkut, their ‘Social Networking’ site, and its an update that practically copies Facebook item by item, feature by feature. Why the incessant need for every social networking site to ape Facebook? Because its so popular? I often wonder though how many use Facebook just because most of their family members and close friends are on there as well. Personally that’s why I am on there, and I can find lot’s of things about it I don’t like. Those blasted applications and their intrusiveness for one! Talking about the MSN Toolbar. Although I usually use the Windows Live toolbar that comes with the Windows Live Essentials suite of programs when I use an toolbar, I have recently switched to using the new MSN Toolbar instead. In my view it supplies a far better integration with all the Live services than the Live toolbar does, is far more customisable and looks very attractive into the bargain. I have used this toolbar before when it was in beta but at that time the Windows Live services were not as fully incorporated into it as they are now. 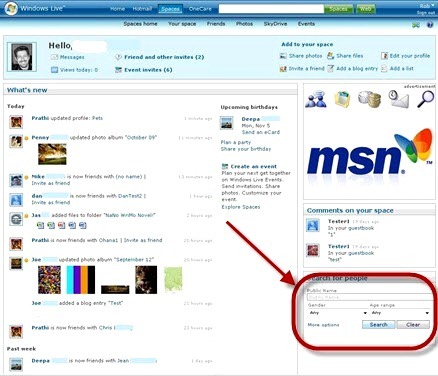 Once you have downloaded the MSN Toolbar from http://toolbar.msn.com/ you can then begin to customize it for your own use. First of all you will need to sign in on the right hand side of the toolbar with your Live ID. Then moving on to the next icon on the left which is a small spanner (Toolbar Options) you can set up just how you would like your toolbar to look. There is a wide choice of colours to choose from, a choice of scenes which include the seasons and some seasonal events such as Christmas, Valentines Day, New Year, Autumn and Winter etc. 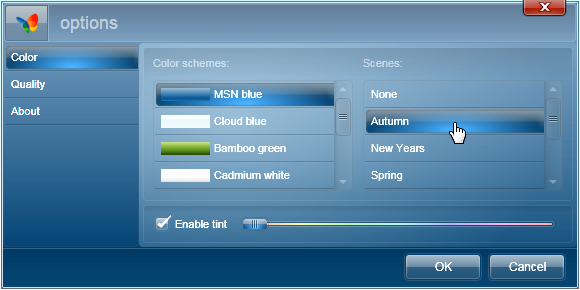 In the Quality choice you can also choose to give feedback to Microsoft or not and find our more information about the MSN Toolbar such as the current version that you are using under About. Clicking on the Cogwheel icon (Customise your buttons) allows you to choose which ‘news’ buttons you wish to have on your toolbar by dragging each button from the provided list to the toolbar or dragging from the toolbar to the list if you wish to remove a button. from those already provided by default. 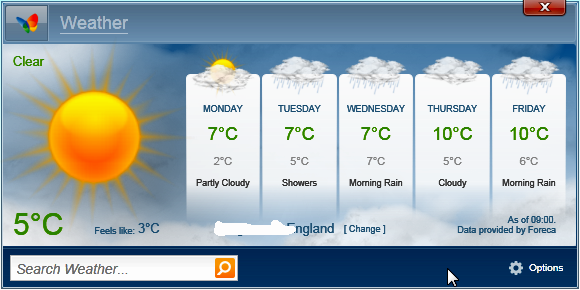 To enable the five day weather feature for your area, you simply click on the weather icon and then insert your location into the Options. You can choose to display this as Fahrenheit or Centigrade. 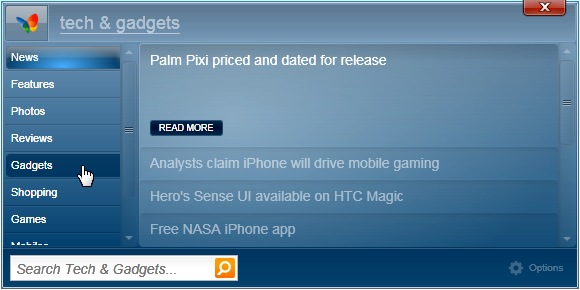 When you click on each news button, you are shown a list of news in a drop down list, and can then choose which news ‘headline’ you wish to read about by simply clicking on Read More. At the far left of the toolbar is the Bing search box and to the left of that, the MSN butterfly which when clicked will take you to the MSN home page. So I hear you ask, where is all the Windows Live integration that you mentioned at the beginning of this post? Well the MSN Toolbar has a trick up its sleeve! See that up arrow button in between the ‘spanner’ icon and the ‘cogwheel’ icon? Click on that ‘Flip’ arrow and viola! There are all the Windows Live buttons! 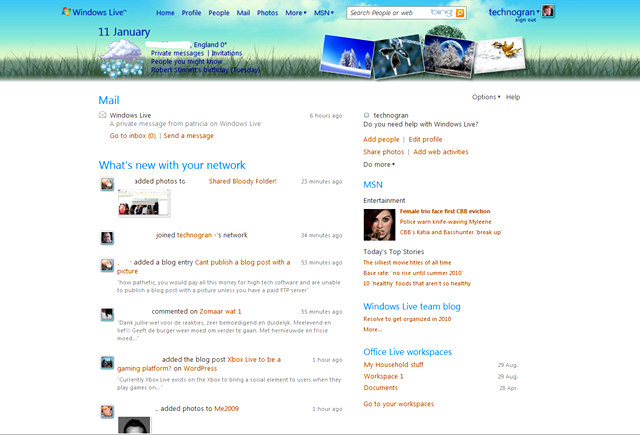 Click on Windows Live to be taken straight to your Windows Live homepage! Click on the Hotmail tab to see all of your Hotmail emails and also write a new email as well. . Click on Email this page to send the entire page in an email message or perhaps you would prefer to send it via Instant message instead? If so, click on the next button on IM this Page. However, the best part of this toolbar in my estimation is to be found when you click on the last button in this list, the More services button. Clicking on More Services displays a list of ALL the live services including Photo Gallery, Spaces, SkyDrive, Profile, Photos, Mobile, Groups, Events, Calendar, Family Safety, Writer, Movie Maker and Mail. You are also shown exactly where each service is available from. In the case of Spaces for example, you are shown that you can access your Space from both online and also your mobile. You can also see which other applications work well with that particular program or service. So in the case of Spaces you are told it works well with Writer, Events and Mobile. By clicking on the bottom of each one you can then go directly to that service as long as it is online. It all works quite well with the online services such as Profile, Calendar, SkyDrive, Photos Groups and Mobile, but Spaces does not take you directly to your Spaces page, instead it takes you to your Spaces home page. All of the included Live Essentials Suite of programs such as Photo Gallery, Movie Maker, Writer and Live Mail take you to their relevant download pages. 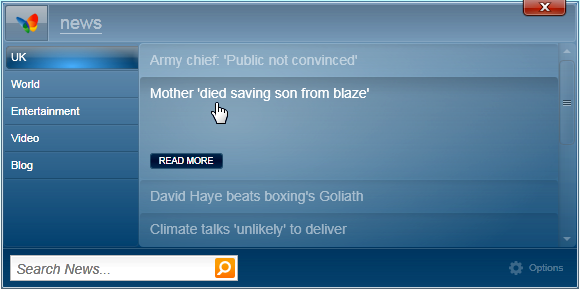 In summary, I liked the MSN Toolbar when i was testing it out whilst it was in beta, it really looks attractive, and its news tabs contain some very useful buttons. Because the user is able to fully configure it to suit them it becomes far more useful than many of its rivals. But for me, its the integration with all of the Live services that I find the most useful, and I could argue that this has now become the definitive toolbar to use if you also make use of Windows Live and its services. . This is what the Live Toolbar could and should have been.